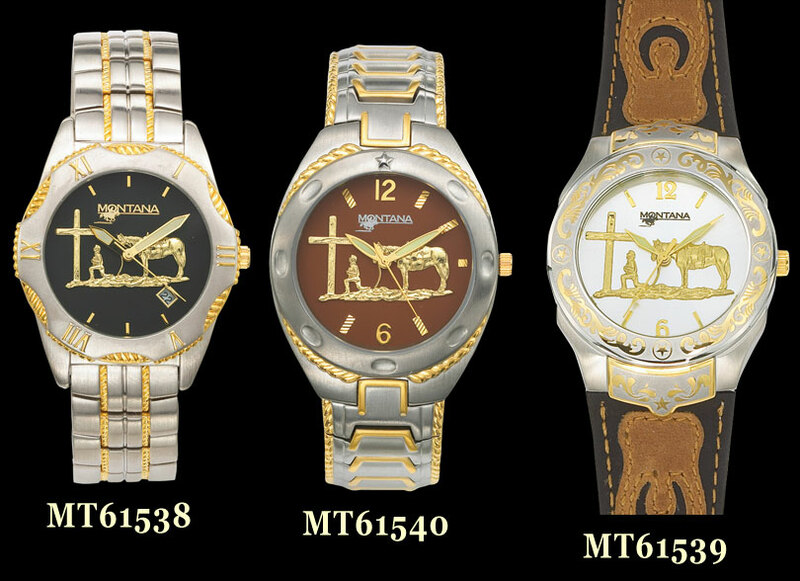 Christian Cowboy Watch by Montana Silversmiths. 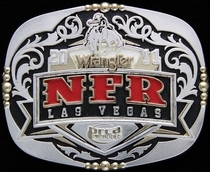 Select from three styles, all displaying the reverential Christian Cowboy image. Water resistant. Durable ionic gold plating and stainless steel watch casing and glow-in-the-dark hands. All three watches are built around a highly accurate electronic quartz watch movement. Stainless steel bracelet watches adjust to most wrist sizes with removeable links. Twot-one leather band watch features traditional hook-and-hole clasp hardware. Each Montana Silversmiths watch includes a product specific warranty. Ships in 1 - 14 days.